Those already working in childcare who wish to increase their skills can progress to QQI level 6 courses and engage in more advanced training in this area. 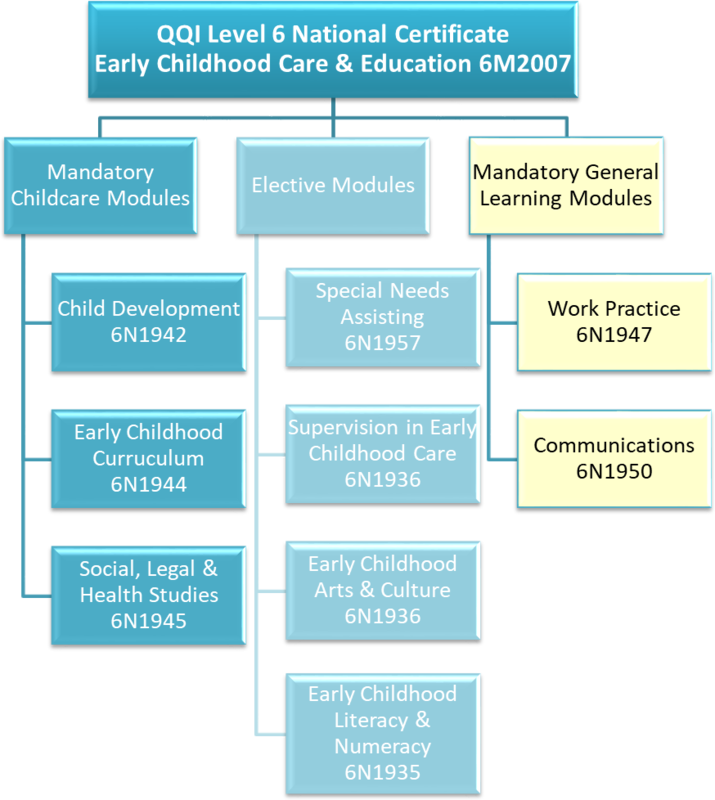 There are direct links into year 2 degree programmes in Childcare with IT Carlow from CTEC’s major Early Childhood Care & Education award at level 6. This major award qualifies you to work in a supervisory role in an ECCE setting. You must complete all mandatory modules and 3 from the elective module list. Other electives are available. Some elective modules are delivered using the Montessori approach. Holders of 3rd level major awards at levels 6 to 10 on the National Framework of Qualifications can be exempted from QQI Level 6 Communications. A maximum of 15 credits can be used from either a level 5 or level 6 module qualification. All modules used for exemptions must be certified within 5 years of completion of your full award. For more information on QQI awards see www.qqi.ie.